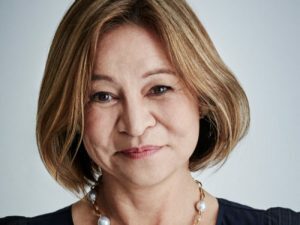 The board of Australian public broadcaster ABC has confirmed that an independent advisor is investigating claims made by ousted managing director Melissa Guthrie. In an official statement released by the ABC board, it has clarified the timeline of events that led to Guthrie’s exit from the broadcaster in late September. It has said it received a letter from Guthrie late on Friday, September 21, in which the exec responded to several issues the board had raised with her. She, in turn, raised other matters and requested the board investigate them on “a confidential basis”. On Sunday, September 23, the board resolved to appoint an “external, independent expert advisor” to launch an investigation, which is still underway. It has not named the advisor. The next day, Guthrie was fired from the organisation halfway through her five-year term. Days later, chairman John Milne – who first announced Guthrie’s departure – resigned from the ABC amid claims that he enabled government interference in the journalism of the public broadcaster. “It is not appropriate for the board or the ABC to make any further comment pending [the investigation’s] completion,” reads the board’s statement. “This board has always acted in the best interests of the ABC, has fully debated any issues presented to it and ensured that editorial independence has been maintained. The group says it is focused on supporting acting managing director David Anderson. Last week, communications minister Mitch Fifield appointed the secretary of the communications department, Mike Mrdak, to undertake an inquiry around the exits of Guthrie and Milne.